Guys, never in a million years did we ever thing we were going to reach the amount of page views we have gotten. 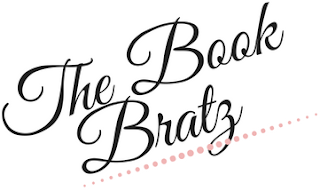 Everything we have done on The Book Bratz would never have been possible with out the love and support that our followers show is day in and day out. We are so grateful to be part of an amazing community who share out passions and loves and grateful for the life long friends we have made. With all of this being said we want to celebrate and thank you with a giveaway for both out US followers and International. 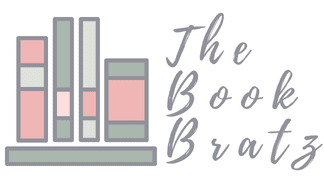 ❤ International giveaways will be hosted through Book Depository as long as they ship to you! ❤ Winners will have 2 days (48 hours) to respond to the e-mail. If failed to do so a new winner will be chosen! Thank you for the chance! I'd love to read Summer Bird Blue! That's amazing, congrats!! I would be torn between the special edition of Six of Crows (since I already own a copy), or Crooked Kingdom. I don't even know. Probably Tatiana and Alexander by Paullina Simons. I've got the ebooks, I'm trying to collect the paperback versions and the signed paperback versions. I have so many books on wishlist, so it would be a very tough choice to make! Congrats!! Hard to decide but maybe Catwoman. Congrats ladies! I would choose Kingdom of Ash by SJM. Thank you for the chance. First of all, CONGRATS!!! That's soooo awesome!!!! *throws confetti* Book wise.....this is SUCH a difficult choice!!! I'd probably go with The Summer Games : Settling the Score by R.S. Grey <3 Ty for the chance!!!! That's so awesome! It's a lot of views. I'm not sure what book I would choose. It would be very hard cause I have so many I want. Thank you so very much! Here's to another 350,000 page views. Congrats on the views! I honestly have no idea what I would get, but I would be so happy to get to make that choice. "A Map of Days" by Ransom Riggs. Congratulations! 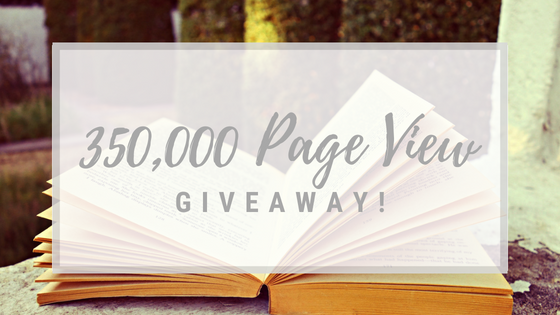 Your blog is really something special and you deserve 350,000 pageviews (and even more). I have been a fan of your blog for YEARS and it just keeps getting better! Congratulations! I might get a beautifully illustrated picture book. Congratulations, and thanks so much for the giveaway! I would probably want the new Toil & Trouble anthology that comes out at the end of the month. Congratulations 🎉 and thank you for a generous giveaway!! ❤️️ I would most likely pick either Muse of Nightmares by Laini Taylor or Six of Crows (Collector's Edition) by Leigh Bardugo. Thank you so much for the chance!! I would love to win Escaping from Houdini! I would love to have Six of Crows Collector's Edition 😍 Btw congrats!! That's hella lot! Congrats on the page views! Congrats! I'd choose The Wicked King! Congratulations! 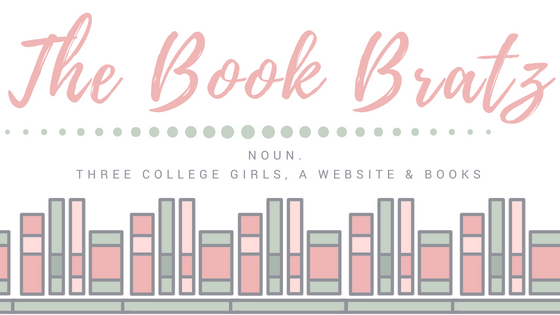 I honestly have so many books on my TBR, so I'm not sure what I would choose. Big congrats on the pageviews. Each and every one stems from hard work! I would like to read The Reckoning at Gossamer Pond by Jamie Jo Wright.